he RAM-HOL-TAB3U consists of a spring loaded back plate and custom support cups. 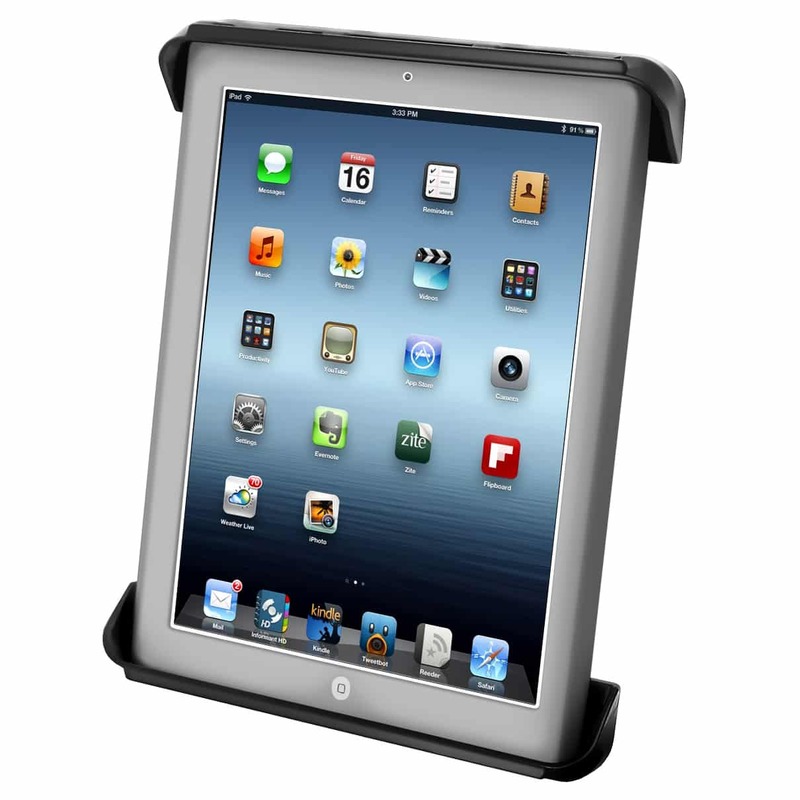 The spring loaded design makes it easy to load and unload your tablet, along with keeping it secure while on the go. 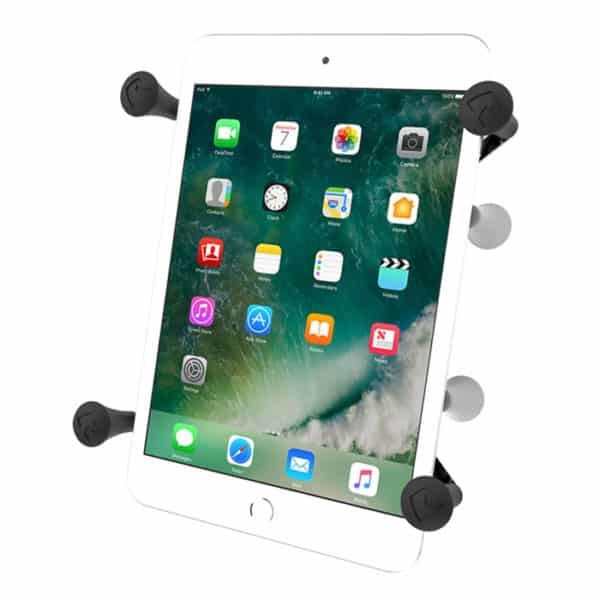 Interchangeable cup ends are designed to optimize the functionality of your tablet, allowing access to audio jacks, usb, power, and other ports, your tablet can be used just as it was intended. 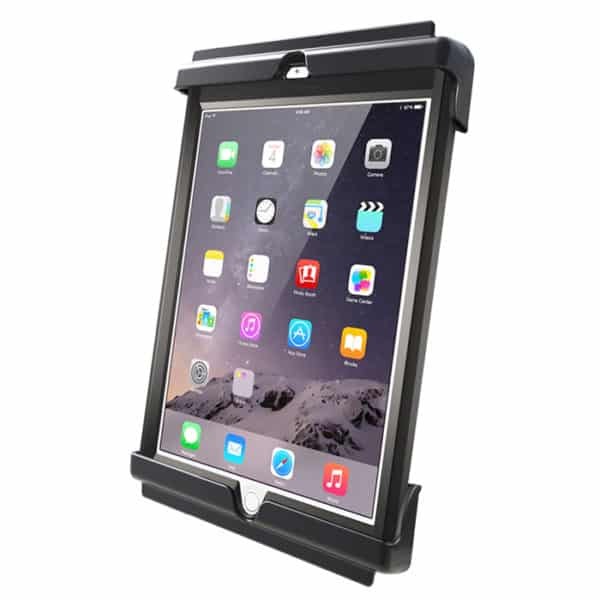 Perfect for stationary or on the go applications, the RAM-HOL-TAB3U is just what you need to get the most out of your tablet. 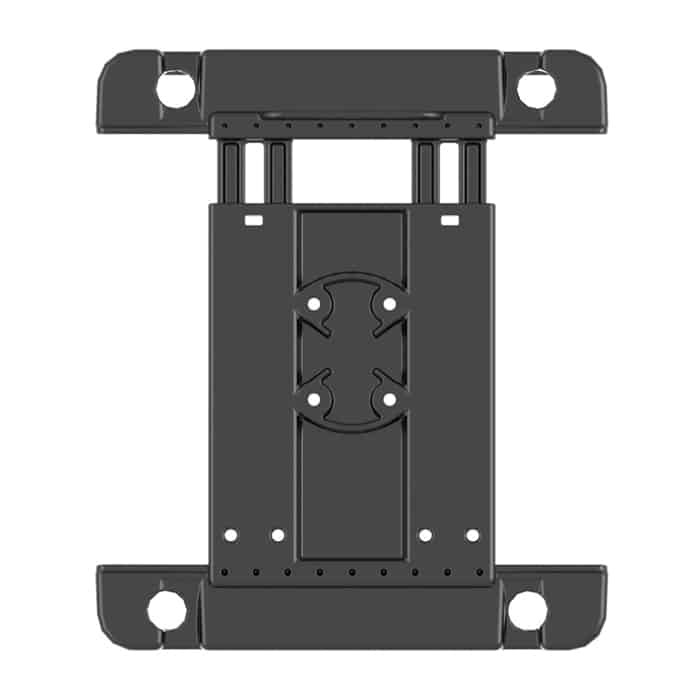 The included backplate is interchangeable with various size support cups, making it compatible with numerous tablet models. 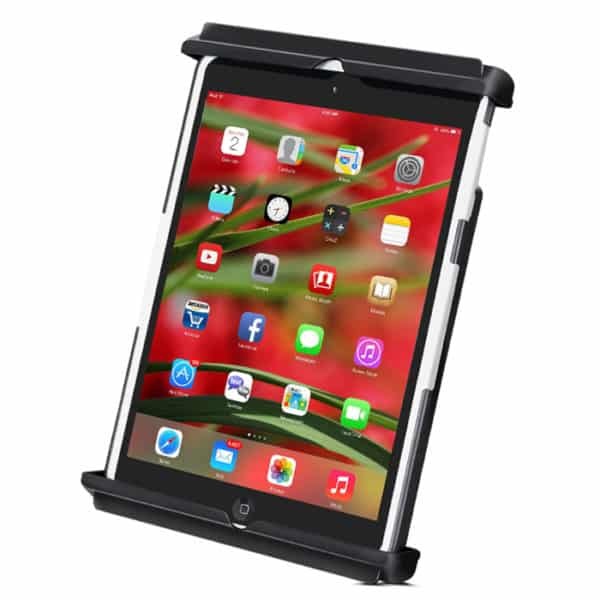 New detachable support cups are the only components needed for purchase, attach to the backplate for support of your new tablet. 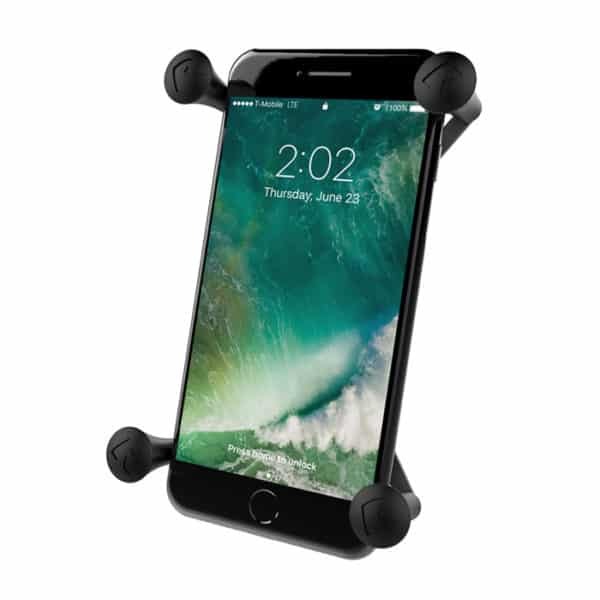 For off-road environments and extreme use, we recommended the use of a tether to assist in retaining your device. The Tab-Tite™ cradle is compatible with any tablet that will fit the dimensions listed below. It is important to verify the dimensions of your tablet when determining the overall size.